Among the 500 small-business executives surveyed, 76% said social networking hasn’t help them generate leads or expand their companies in the past year. And 86% said they don’t turn to these Web sites for business advice or other information. The majority, 61%, depend on big search engines, such as Google and Yahoo!, for business advice and information. 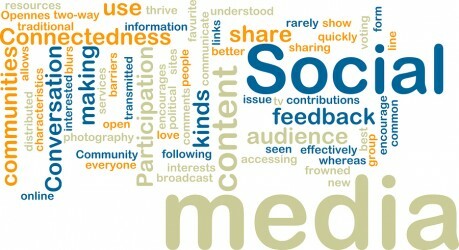 Only 13% use social networking sites and only 10% rely on expert blogs. So why on earth would I be excited that small businesses don’t use social media and haven’t seen value from it yet? Opportunity. Plain and simple. For me, there is huge opportunity to teach and inform small business owners that, yes, social media can benefit just about ANY business, no matter the size. And yes, you can use social media for business to increase sales, improve customer service, and all that jazz. Obviously, as the article states, not every industry has customers who are active on Twitter, or even Facebook. But chances are, somewhere deep in the caverns of the internet, there just might be a small community of those users, and it’s up to you to find them (of course, we can help you with this). Not to mention people are probably talking about your company or industry, whether they are customers or not. What they have to say can be valuable as well, even if they don’t directly contribute to your bottom line. After reading that so many companies have yet to ‘see the light’ so to speak, I’m glad that we offer courses especially for teaching these small business owners about internet marketing and social media. We might not be able to convince every small business to get involved, but we love being able to help those that do!